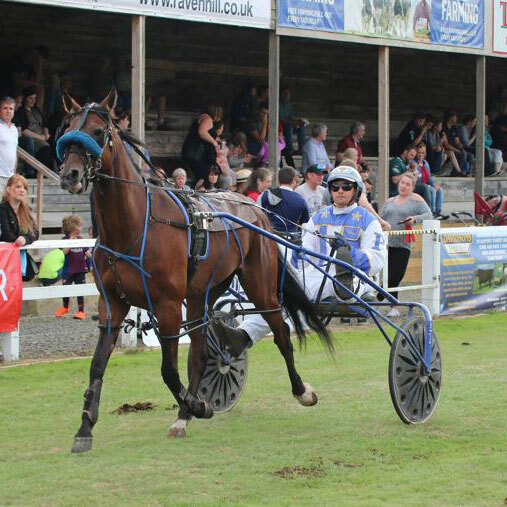 Each year we have an exciting programme for the main ring. 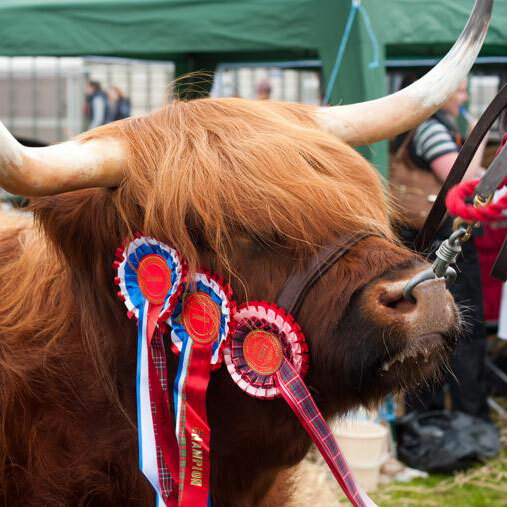 On Sunday, one of the main highlights is the Grand Parade of horses, ponies and donkeys and on Monday you can witness one of the best displays of livestock in Scotland with the Grand Parade of cattle and Clydesdale horses. 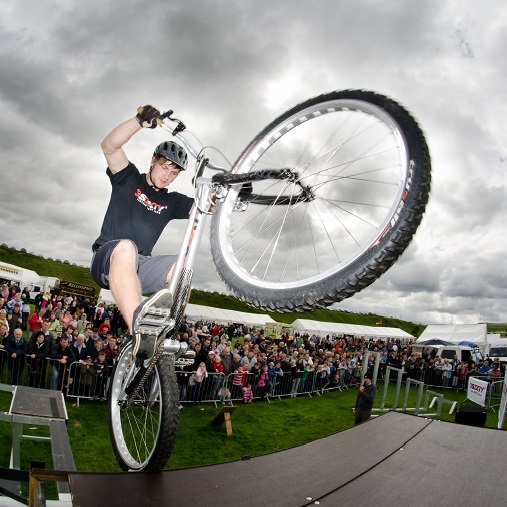 Stunts and tricks that are sure to amaze and astound, suitable for the whole family. 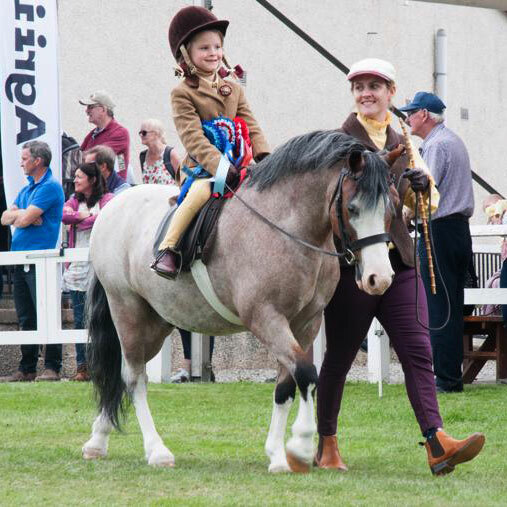 Pony carriage driving, working hunter (on the Sunday) and British showjumping, including the new Mini Major event (on Monday). FREE Child and Adult races take place on both days. Good prize money and a free packet of sweets for every child taking part– so don’t miss out! Sulky Racing excites the crowds in the afternoon on both days with some top-class horses appearing. We can’t wait to see some hotly contested races again this year! 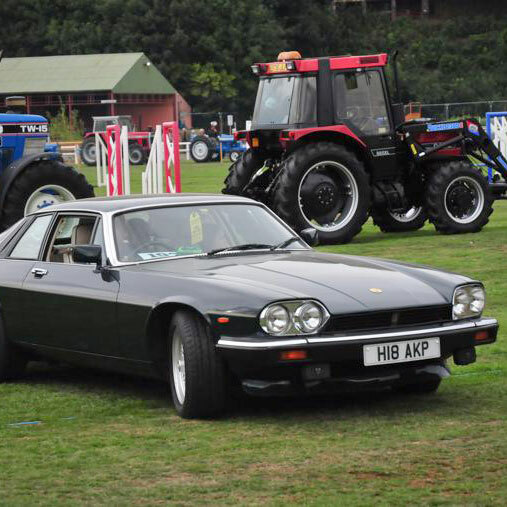 The show hosts one of the largest Vintage and Classic Vehicle displays in Scotland. 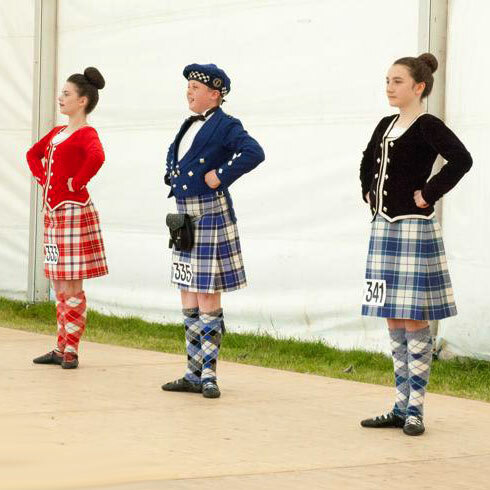 Over 120 models will make their way round the main ring on the Sunday evening. Including some national title holders on the Monday (dancing under S.O.B.H.D. rules) which will be held in a marquee near the main car park. Look out for the Open Dog Show on the Sunday. 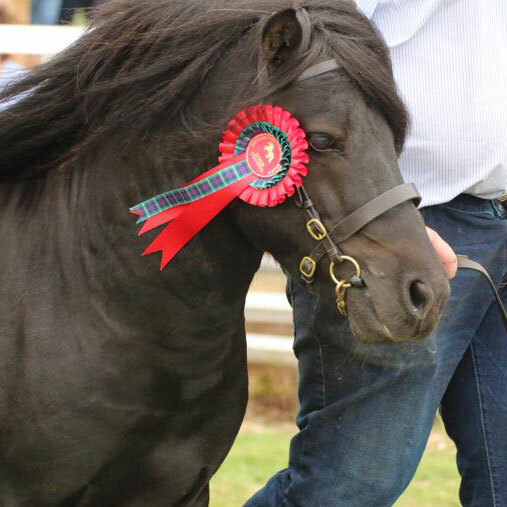 Why not take you dog along to the Companion Dog Show on the Monday (entries on the day).